With the year drawing to a close I think most would agree its been anything but boring. Nation-wide droughts leaving most dams and reservoirs in poor and desperate shape, weather patterns shifting and misbehaving. The Rand acting like a broken yo-yo with more downs than ups and we won’t even get into politics. Luckily it is not all doom and gloom and a bit of fishing usually turns the frown upside down. Looking back we have had some fantastic trips both locally and abroad full of epic stories. 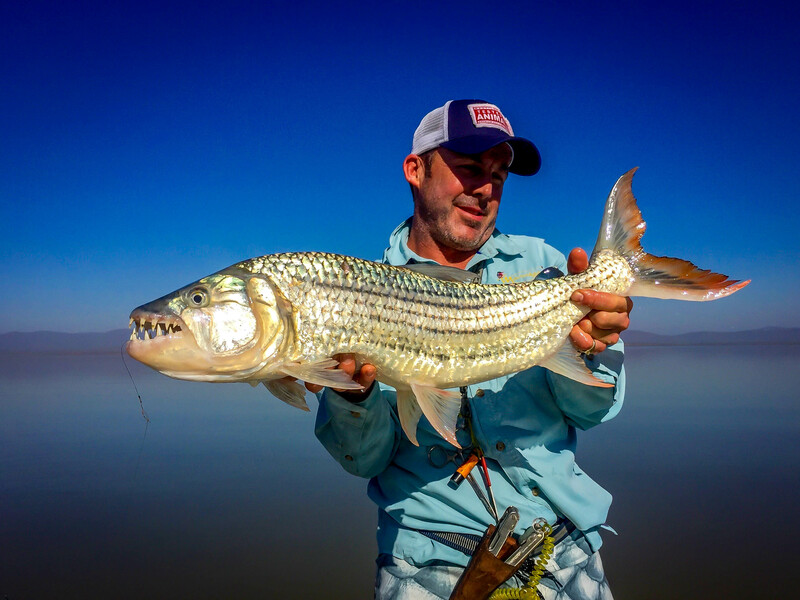 Heading out into Africa to catch our beloved Tigerfish is always a huge treat. This year we went over the prime new moon with a group of 11 guests. Most of the group were new to tigers on a fly and all had a memorable trip. 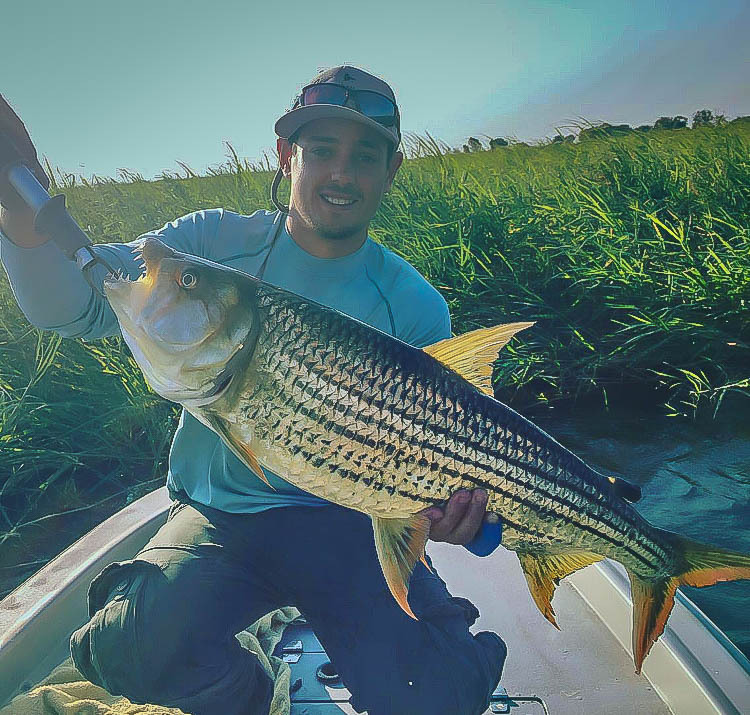 No more so than for our very own Protea cricketer Quinton De Kock who landed his first tiger on fly weighing in at 14 pounds. 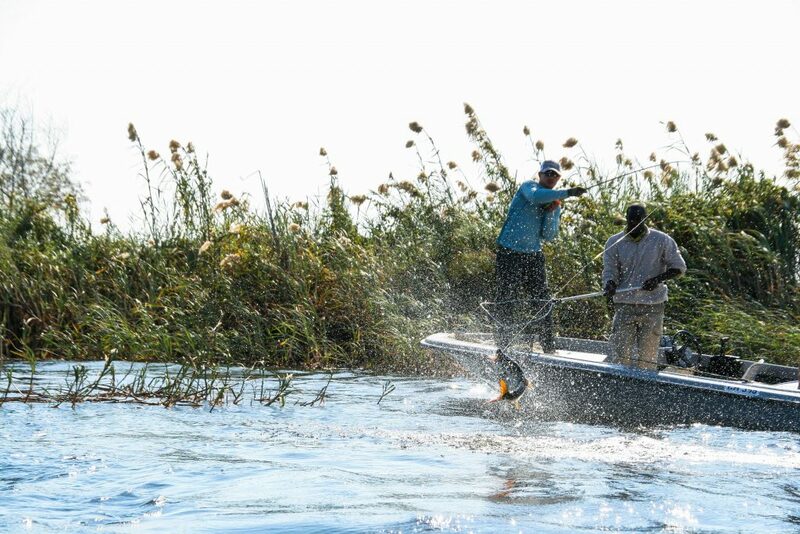 A close second went to Kevin Goncalves who racked up a number of trophy fish for his 5 days on the Chobe. We opened our spring account this year on the fabled lower Bushmans River at the very exclusive Zulu Waters Game Reserve. The river was in superb shape and the wild browns were more than obliging! Over a period of 2 weeks, we had a string of groups grace us with their presence and most left with their personal best wild brown. Philip Gibson took the honours with a real trophy fish. As we all know it’s not all just about fishing and staying on a game-rich farm with gourmet meals each evening to come home too doesn’t hurt! Our regular week’s fishing in Bristol Bay as we have been doing for 10 years now, was the best to date, Pike and trout action was superb, but the salmon runs were simply spectacular, the novelty of taking photos of 25 pound King salmon doubles wore off by day 3! 2017 is fully booked and we are already taking bookings for 2018. 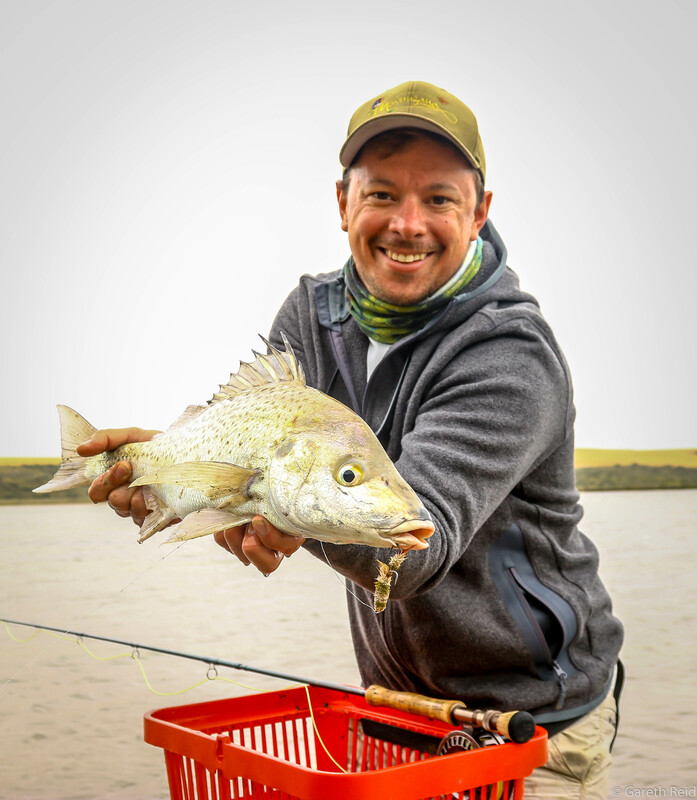 Remoteness and quality fishing go hand in hand. 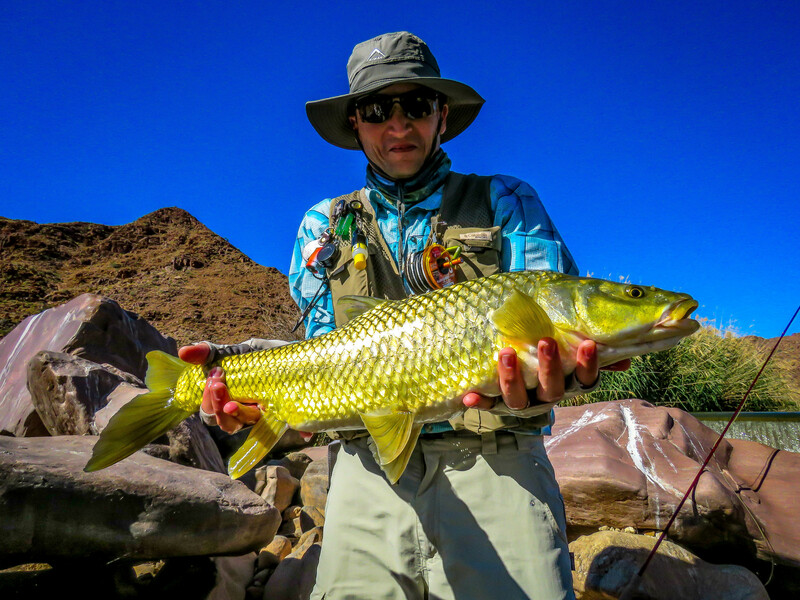 No more is this true than on the lower Orange River. Fishing for butter gold indigenous Yellowfish completely off the grid with a bunch of mates is next-level fun. Having secured the prime early season period saw the 2 groups that joined us catch more fish than any one man deserves. This year saw some extremely low and gin-clear water and the fishing was off the charts. Sight fishing, long leaders and turbocharged fish was the order of the day. The highlight of the first group was Malcom Carey landing a perfectly conditioned 15lb Largemouth Yellowfish. 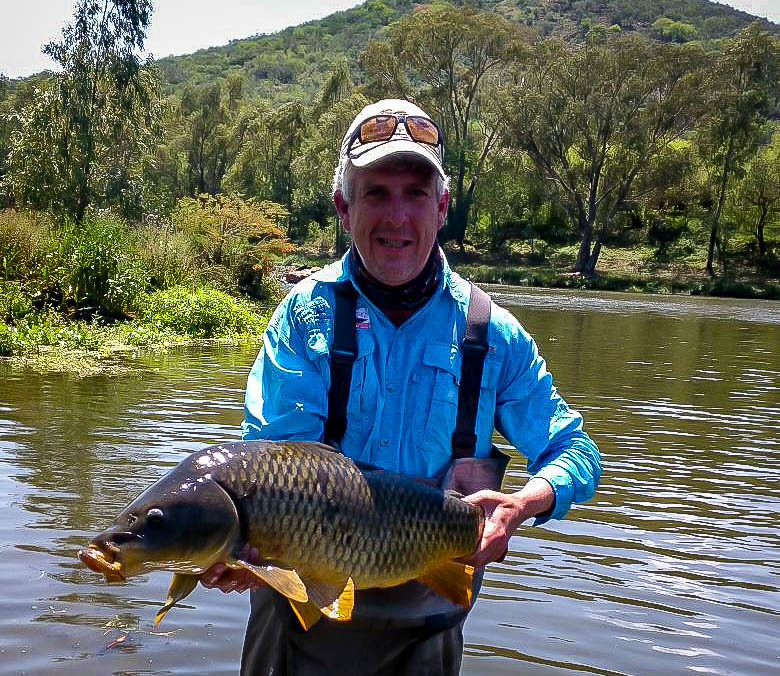 On the second group, a good friend and client, Morne Liebenburg- who had never caught a Largy proceeded to land 8 on his first day. It was simply rude! 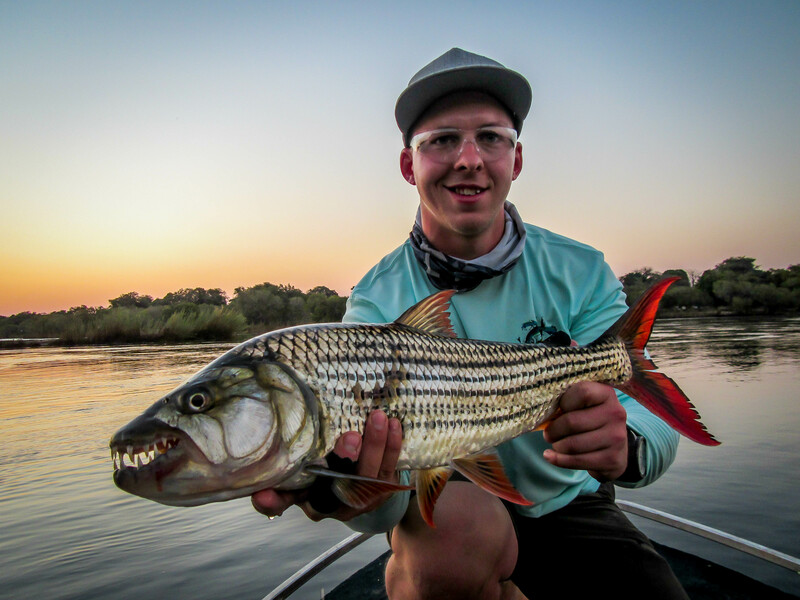 Nowhere was the drought more prevalent than on our local tiger fishery, Lake Jozini. Never-the-less some brave and enthusiastic guests weathered the conditions and had a fantastic time catching our home-grown tigers while game viewing and sipping on a cold one. 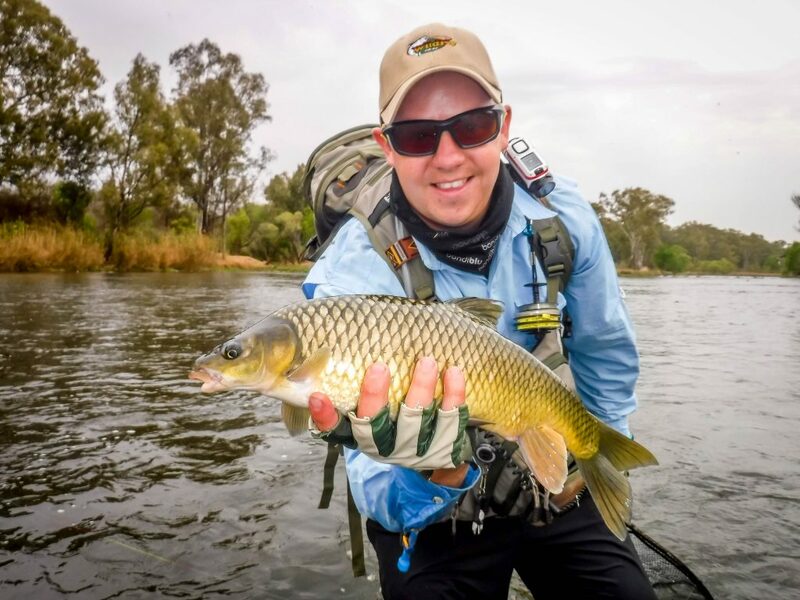 As fishing and lady-luck go guests were taking a breather one day when the rod was handed over to Jono who then went on to boat a truly remarkable fish within a couple casts. Definitely worthy of a gin fine under the circumstances! During the warmer months of the year we have been heading out for our Vaal socials each Wednesday, weather permitting. The turn-out has been fantastic, so much so that I can guarantee there have been some questionable ‘sick-leave’ days at the workplace. Lots of new faces and then the regulars of course. Some new techniques have been explored and the guys bashing the odd trophy carp in between all the yellows. Keeping to our model of annually sniffing out new adventures, we headed to Northern Zim late this year. 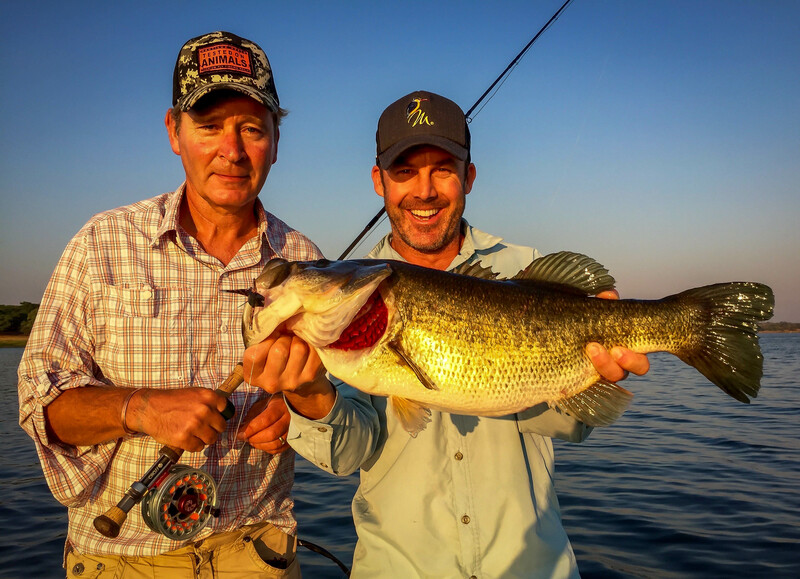 Using a network of the local Zim Pro Bass circuit anglers, who handled all the logistics of fuel, boats, property access and accommodation – all a massive challenge in the sad collapsed state that is Zim, was an amazing experience. 10-pound bass smashing you static surface popper – way too good! 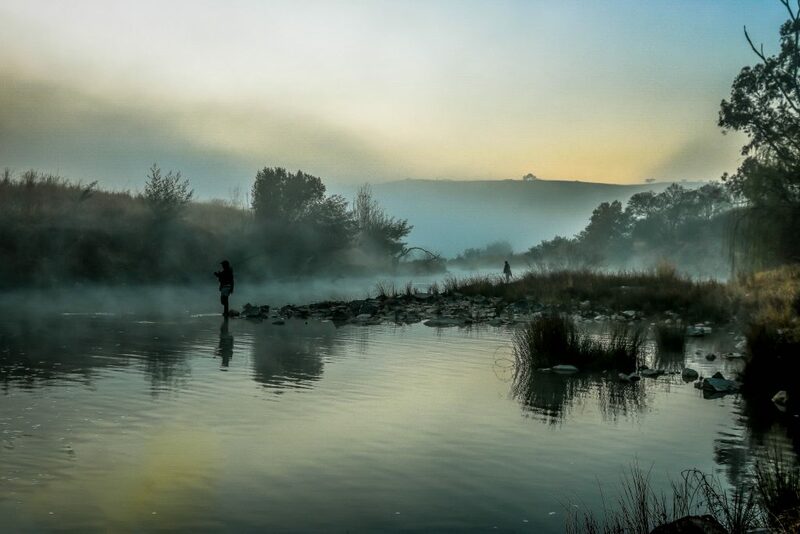 We had a couple days downtime on the beautiful Breede River this October. Upon arrival, we were greeted with stories of Kob up to 40kgs being landed that very morning. It didn’t take much for our imaginations to run wild and we all had visions of being towed around the estuary attached to monstrous Kob in between all the grunter we were going to be catching on the sand flats…. However, as fishing goes, mother nature had a different plan for us. The supermoon brought with it gale-force winds for most of the trip which made delicate presentations to tailing grunter tricky, to say the least. Being a stubborn bunch we pushed through and scratched a couple fish and had a proper fun time. 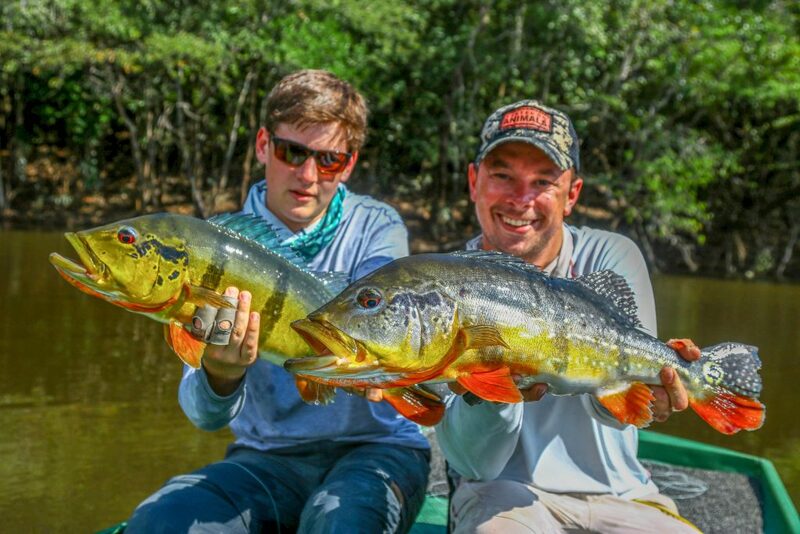 Our annual trip to the renowned Agua Boa River Lodge this year was as to be expected, world class! Each year we secure the opening week of the season and are the first ones to come tight with the psychedelic bruiser that is the Peacock Bass. We shot the lights out from day one and had some incredible fishing. It’s a true bucket-list destination and it did not disappoint. Each evening while sitting in the pool with a cocktail in hand, the stories would unfold of each guests encounters of the day. 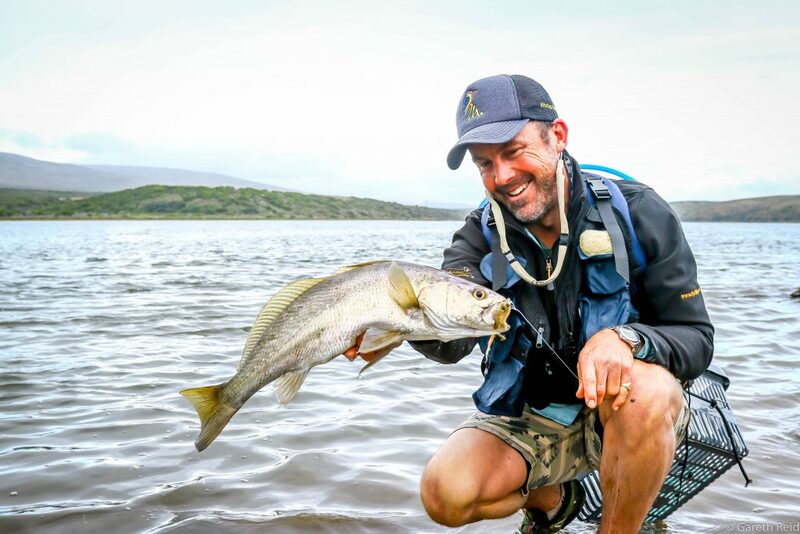 Tales of hidden lagoons and bait-balling peacocks, double-figure fish annihilating surface poppers, fish on the line getting swallowed by bigger fish and of course the obligatory recount of the ‘one that got away’. 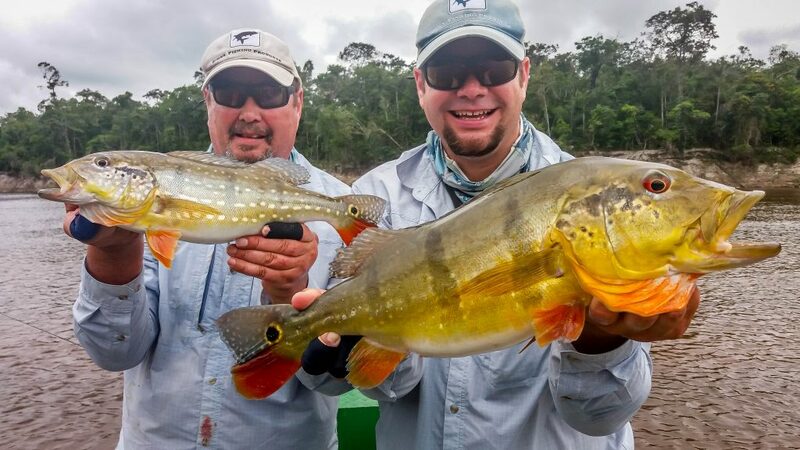 Fishing aside – It is an absolute privilege to experience such natural beauty and the Amazon has it in buckets! 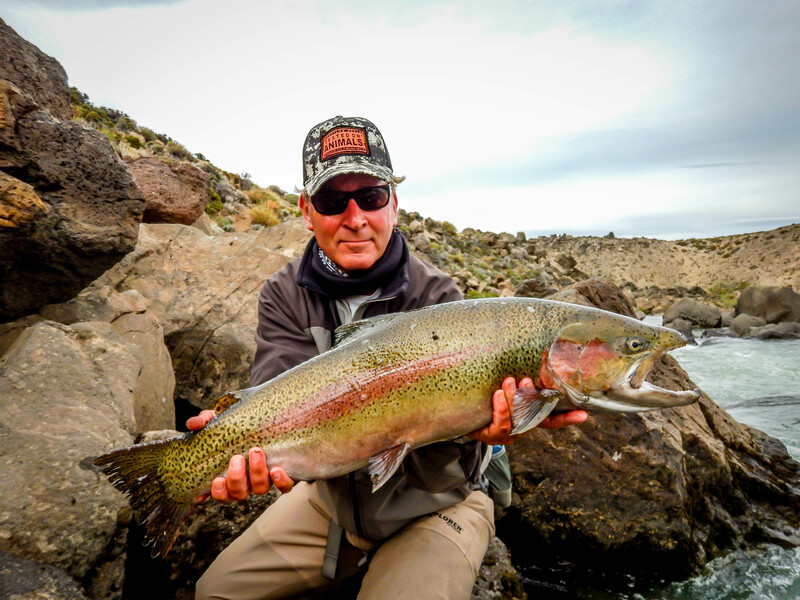 Our annual trip to Jurassic Lake in southern Patagonia did not disappoint with record numbers of monster rainbows being caught in both the Lake and the Barancosa River. 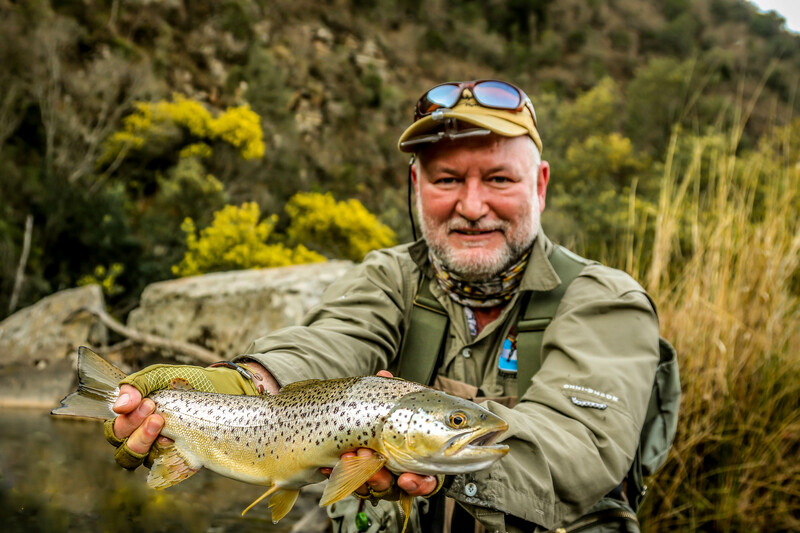 The weather was kind to us this season and we had a number of windless days which provided for mind-blowing dry-fly fishing. Our Patagonia trip was concluded with 5 days of drift-boating various large rivers in the Los Lagos region of Chile. What an experience; breathtaking panoramas, delightful cuisine and above all great rainbow and brown trout fishing. We will definitely be returning in 2017…. We hope you have a good finish to the year, enjoy some downtime with family and friends plus of course some time on the water.